يقع Comfort Inn Bel Eyre في منطقة مشهورة للغاية في المدينة. هذا الفندق هو من الخيارات الشائع بين المسافرين. يقع مركز المدينة على بعد 12 km فقط. ويمكن الوصول إلى المطار خلال 10 دقيقة. يضفي محيط الفندق اللطيف وقربه من أكثر المعالم السياحية جذبًا سحرًا خاصًا على هذا الفندق. إن Comfort Inn Bel Eyre حريص على توفير الراحة للنزلاء، فلا يوفر الموظفون جهداً في تقديم أفضل الخدمات وضمان حسن الاستقبال. يقدم هذا الفندق العديد من الخدمات الكفيلة بإرضاء أكثر الضيوف تطلباً. ادخل إلى واحدة من الغرف 75 وتخلص من عناء نهار طويل بمساعدة مجموعة كبيرة من الخدمات كمثل تلفزيون بشاشة مسطحة, قهوة فورية مجانية, شاي مجاني, بياضات, صوفا الموجودة في بعض الغرف. صممت خدمات الاستجمام في الفندق والتي تتضمن حوض استحمام ساخن, حمام سباحة خارجي لمساعدتك على الاسترخاء والراحة. مهما كانت أسبابك لزيارة المدينة، فإن Comfort Inn Bel Eyre هو الخيار الأفضل لإقامة مثيرة وممتعة. تتوافر خدمة الانتقال بالحافلة من وإلى المطار. ولن يُسمح باصطحاب الأطفال من عمر 8 سنوات أو أقل حيث لا تتوافر وسائل الأمان الملائمة في السيارة. يُقدَم الإفطار من الساعة 06:00 صباحًا إلى الساعة 09:30 صباحًا في أيام الأسبوع العادية ومن الساعة 07:00 صباحًا إلى الساعة 09:30 صباحًا في أيام العطلات الأسبوعية والعطلات الرسمية. I arrived after midnight after a delayed flight via Dubai. 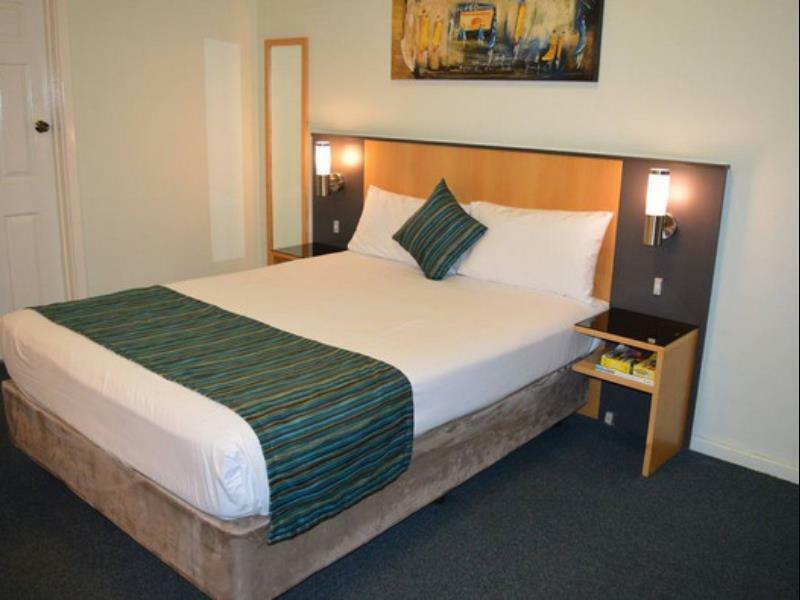 The Comfort Inn Bel Eyre was just a short $Aus_30 (£_17) hop in a taxi from the airport, on the Great Eastern Highway. Relaxed & welcoming man on reception. Easy to find the room/chalet, all on ground-floor level. Slept well. Fully refreshed. Excellent breakfast next morning. Easy to get a bus/taxi along the GEH for next stage of my journey (a business conference at the Crown Plaza Complex in Burswood). Much better value than the hotels there! 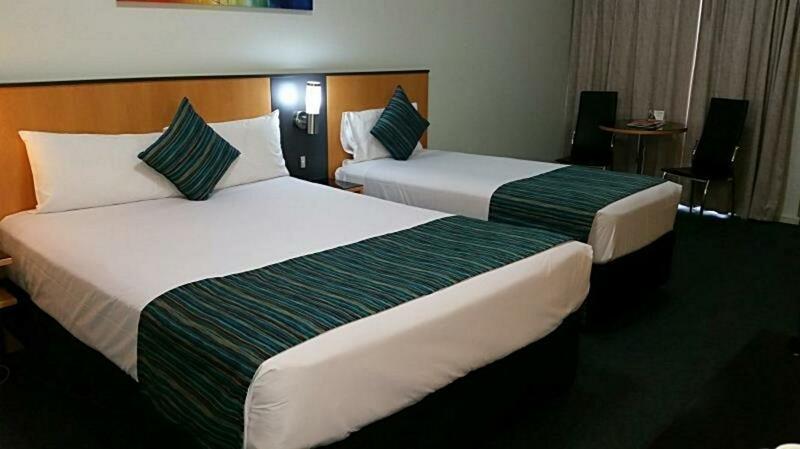 Only a short stay at Comfort Inn Bel Eyre this time (£_68, booked in advance from UK). Would certainly recommend it to anyone visiting Perth or the area north ofPerth. We stayed this hotel to be near to airport for one night stopover. Abt 15min drive to airport and they provides free airport shuttle service, both way. We got the room for 5 pax, this hotel (more like a motel) has 1 room had just nice and cosy for 3 single beds (in a room) and a double bed at the main hall. Overall, the stay was pleasant. Helpful staff and the car can just parked right in front of the motel. THere's a swimming pool but we didn't have time for that. Dear guest, Thank you for your feedback regarding your recent stays with us. We appreciate your comments as the help us to improve our services and ensure our guests have the best experience when staying with us. 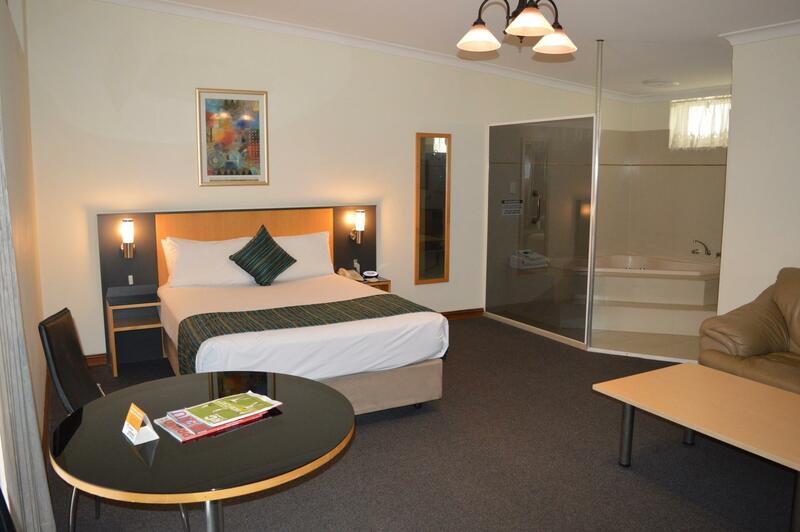 We look forward to welcoming you back on your next trip to Perth. Short flying visit made infinitely more bearable. Beds and pillows very comfortable. Whilst a total revamp of the facilities is in full-swing the same old excellent service and pleasant staff are still offering that extra touch, which is greatly appreciated. Location - superb; Cleanliness - brilliant and extremely pleasant staff managing whilst the new facility is in construction mode - well done for keeping your professional attitude to the forefront. The Restaurant - quality food, pleasant staff and a great bar. 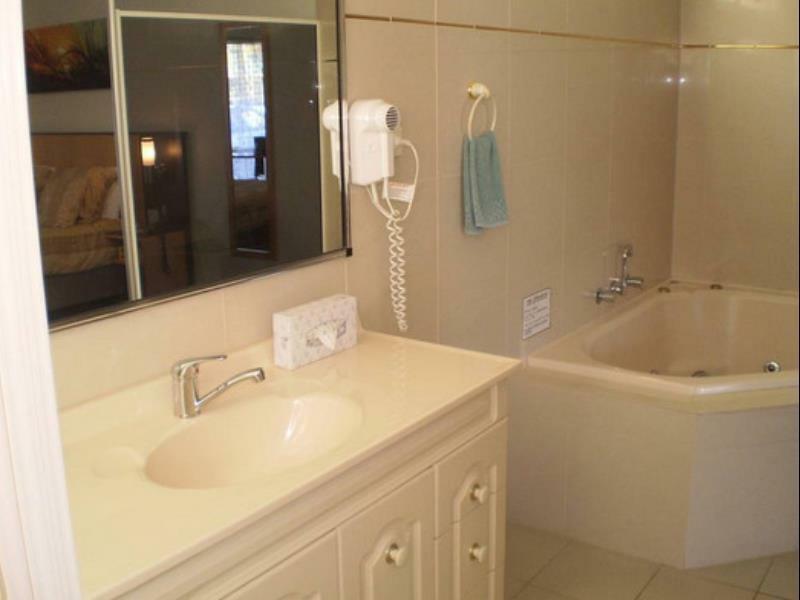 Great location for an early airport departure, just 10 mins drive. Convenient 10 mins drive to neighbourhood cinema. Room facilities perfectly adequate. On site restaurant. Helpful front desk staff. 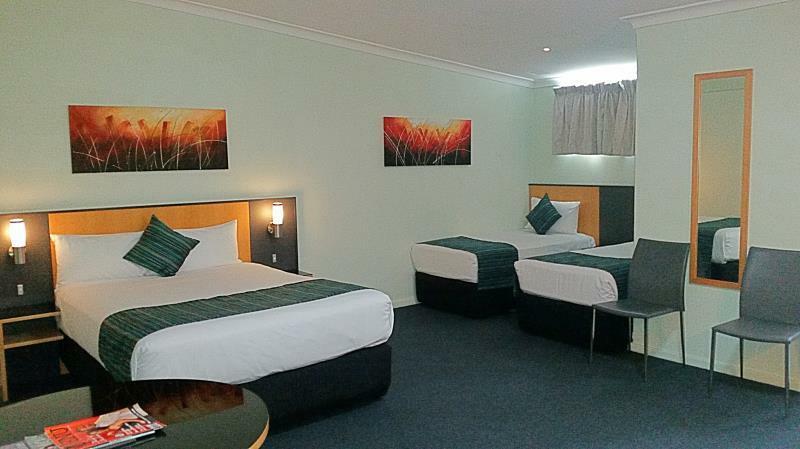 This motel is conveniently located for Perth airport, just 10 minutes drive. There is also a transfer service although we didn't use it. 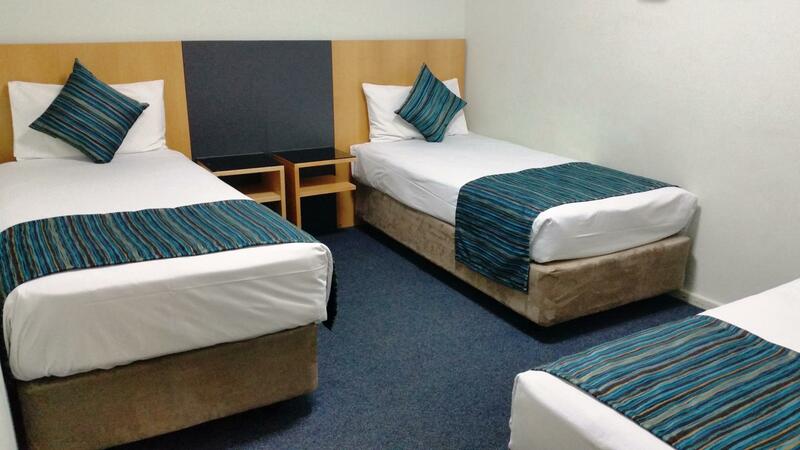 The rooms are basic but functional with fridge, kettle, tea, coffee, TV and good aircon. There is a garage almost next door if you have to fill a rental car before drop-off. Parking is right outside the rooms. Great location with shuttle service provided to and from airport. Nice and comfortable stay. GREAT STAY .QUIET SURROUNDING NEAR MCD AND MANY OTHER RESTAURANTS. IF YOU DRIVE IS BETTER. NEAR AIRPORT. Arrived late from flight, entered room to be treated by two large cockroaches. Rang reception who came straight down with insect spray. Got rid of the pests and enjoyed the rest if our short stay. Delicious breakfast was s highlight. Dear Peta, Thank you for your feedback. I am glad to hear the problem was acted on straight away and the rest of your stay was uneventful. It is good to hear you enjoyed the breakfast, I will pass your comments to the kitchen team. Hopefully we can welcome you back soon. 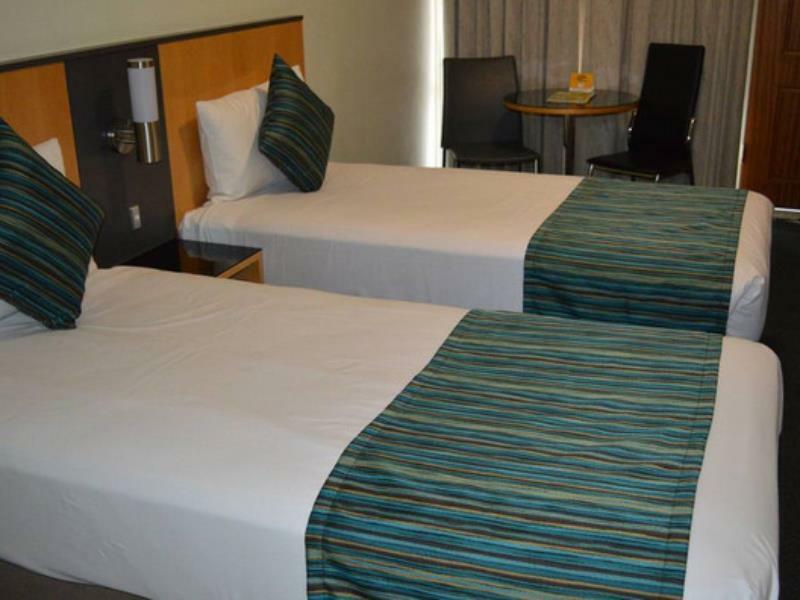 Triple room was fit for the purpose, clean and the staff were very friendly. Ideal location easy to access from Hwy. Sorry we were too exhausted to try other facilities like spa swimming and restaurant but the bed was very comfortable.